Zimbabwe is an African country known for its majestic natural beauty, especially the wonderful Victoria Falls. The country should be able to captivate travellers with various historical and natural advantages. There’s so much Zimbabwe can offer to us that the country continuously beckons us to return. We could also seek endangered and rare species. Zimbabwe was also the place where ancient civilization thrived in the past. The exotic Zambesi river offers plenty of rafting adventure. The capital of Zimbabwe is Harare and the country has subtropical climate. It is best to visit Zimbabwe when there’s little rain and the weather is mild, especially between April and October. If you arrive between May and August, it will likely to be sunny and dry. The rainy season in Zimbabwe is between November and April. There’s no restriction on the amount of foreign currency you bring in, but you should check the latest regulation about the amount of Zimbabwean dollars you can bring out of the country. It is important that you declare the amount of money you bring or the authority will allow you to take only USD 500. Many places in Zimbabwe, such as hotels can be paid only with credit cards. This kind of transaction will be a subject to surcharge at about 3 percent. When you encounter street money changes that offer the best rates and no commission, you should be careful. It is still likely that they get profit from different methods. When visiting Zimbabwe, it is essential to get yellow fever immunisation. The most famous destination in Zimbabwe is the Victoria Falls or known by locals as Mosi-oa-Tunya. It is a protected World Heritage Site and probably the most majestic waterfall on the planet. There are various activities that we can enjoy around the waterfall, such as bungee jumps, white water rafting, hiking through the rain forest and short flights over the falls. Lake Kariba is also a unique scenery that you can find in Zimbabwe, offering us a wonderful display of dead trees that seem to rise from the depth of the lake. The place is especially captivating during sunset. 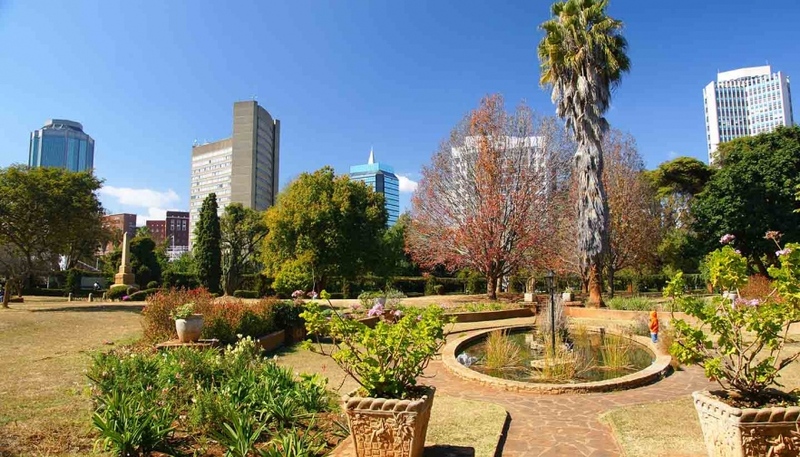 In Harare, you can visit National Archives, National Gallery, Queen Victoria National Library, Queen Victoria Museum and National Botanic Garden. You should also visit the Kame Ruins, which is a late Iron Age ruins. It is the seat of government of an old civilization. You may also visit the Great Zimbabwe National Monument, which flourished at around 14th century. It is a wonderful rarity for any historical ruin located south of Sahara. The largest national park, is the Hwange National Park, which offers a lot of things, in terms of variety and size of bird life and wild game. Zimbabwe has a number of elephant sanctuaries. You may also find brown hyena and gemsbok, as well as a large population of wild dogs. The Mana Pools is a place to find black rhinos and other large mammals in Zimbabwe.